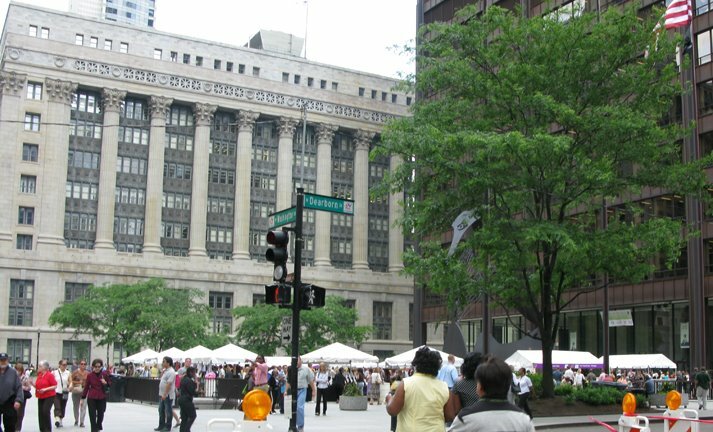 I (Rebecca) work just a block from Daley Plaza. The Plaza hosts events year round and I find myself wandering over there most days during lunch just to see what’s going on. This week was the Thai Festival. 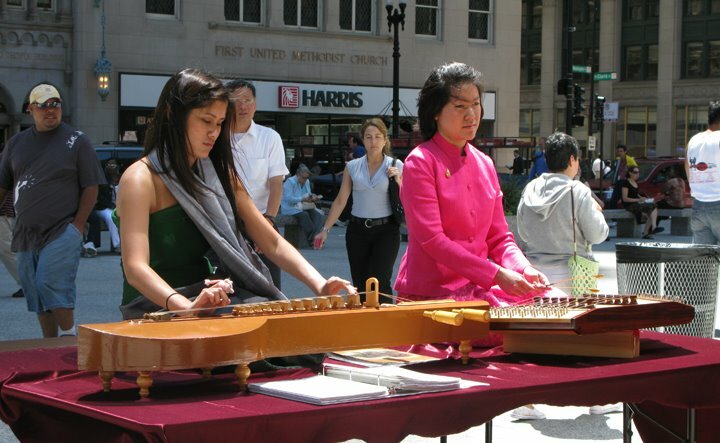 There was a show everyday at noon, some food vendors, some gift vendors, and some random displays sponsored by the Thai Consulate in Chicago. The shot above is across the street from the Plaza. What follows are shots from the festival I took during the week. Is it painfully obvious Dale did not take these pictures? I’m guessing it is. 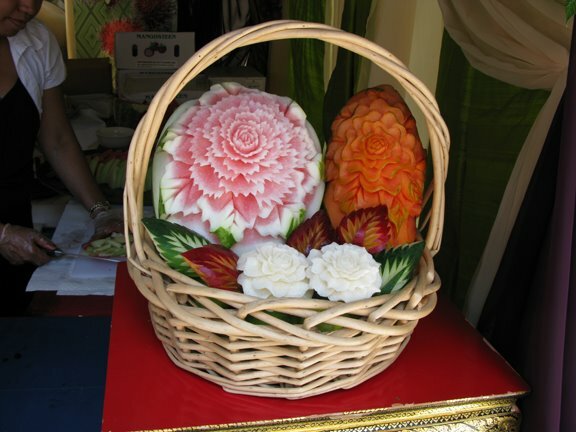 Anyway, the festival featured a Thai woman that carves fruit into elaborate flowers. Check out the huge flower/watermelon! Crazy! 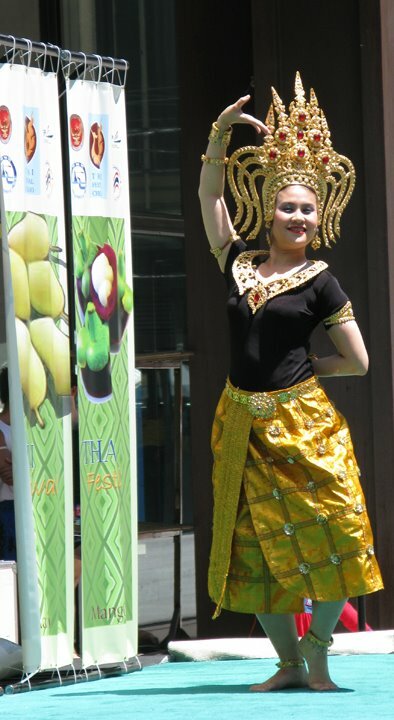 The main stage featured traditional Thai dancing, boxing, fashion, and music (on various days). These ladies were playing music on instruments I can not name. 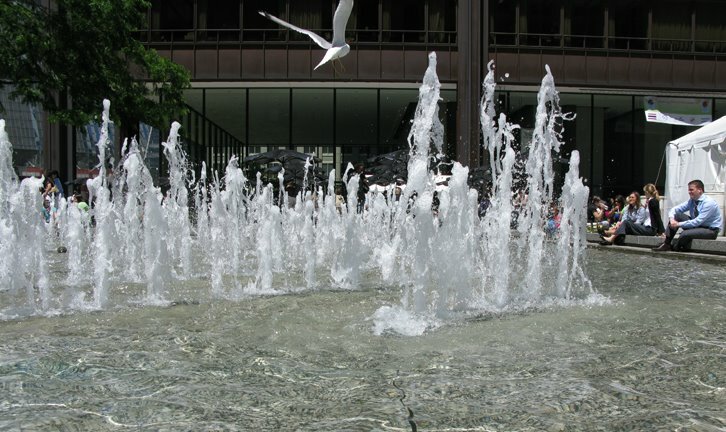 It was a gorgeous week overall so I would get some tasty Thai food from one of the food stands and then walk over to the fountain to eat my lunch and listen to my iPod. 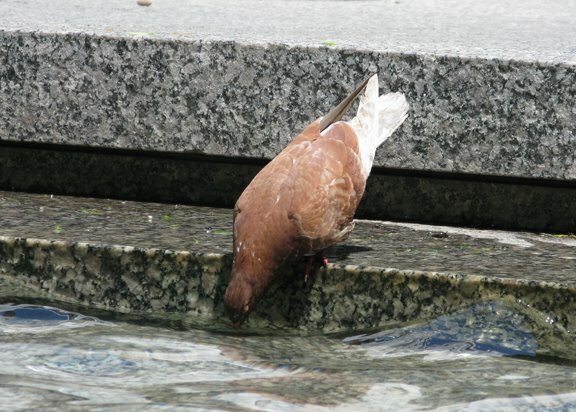 I also giggled while watching the birds drink from the fountain! It just cracked me up that they carefully dipped their beaks in for a sip.